Here are a few of the reasons why an investment in equipment from our oldest audiophile manufacturer yields such high dividends for so long a time. 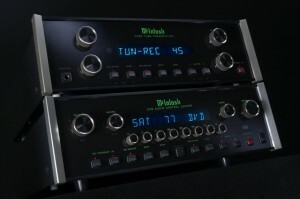 Real-World Power Rating: To arrive at the power output rating for its amplifiers, McIntosh uses a full range test signal, one that includes all the frequencies present in recorded music rather than the easily-reproduced 1 kHz tone that many manufacturers prefer and which invariably results in a higher figure. 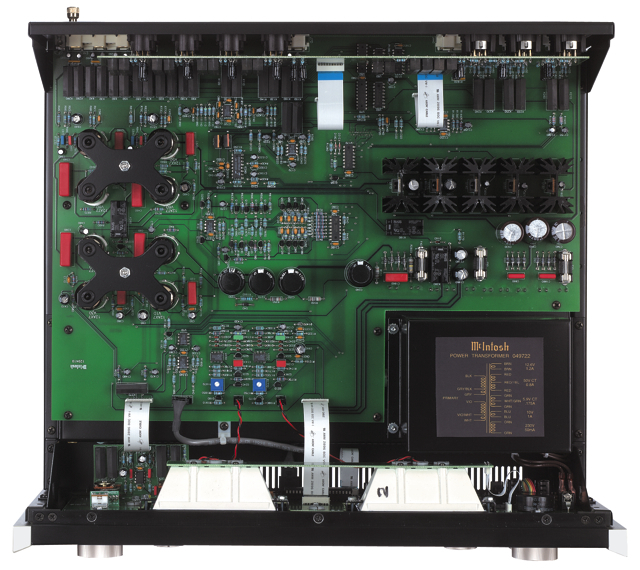 The company tests amps with all channels driven while some other firms drive just one channel to raise the resultant power measurement, and McIntosh drives tested amps only to their rated 0.005% distortion level rather than into regions where power and distortion are both higher. Moreover, after measuring several production units rather than just one pampered engineering sample, the firm calculates the average of all its measurements then reduces the figure somewhat. That way, the power specification ultimately published is one that every amp coming off the assembly line is certain to meet under real world music reproducing conditions. Most units exceed it. 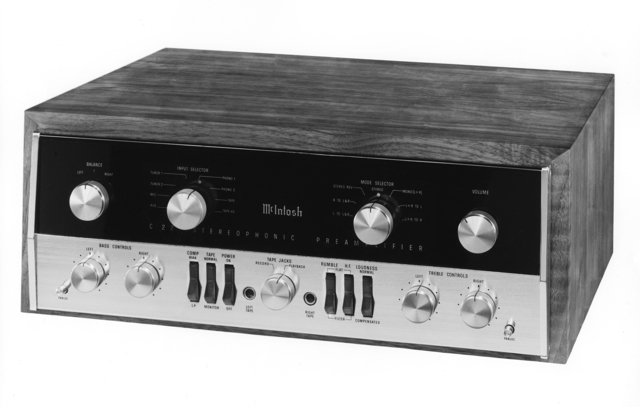 Longevity In The Extreme: McIntosh products are designed and built for the long haul, and many of the older components the company has sold during its 50-plus-year history are still in service. Naturally certain parts for some of its earliest models are no longer available, but factory visitors are usually surprised to find technicians servicing pieces that were made in the 1950s. 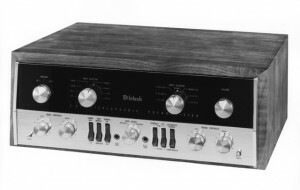 You can be sure today’s McIntosh components will operate to spec for just as long, because the company continues to manufacture every one in its own factory in Binghamton, New York, where it has been headquartered for more than a half century. If you’re planning to be in the area, contact the firm about a guided tour that will allow you to see the production process, during which technicians who initial their work when completed can flag a unit-in-progress for quality issues at any time. Made The Old Fashioned Way: The McIntosh factory — it’s in Binghamton, New York, where it always has been — is much more than an assembly plant and is, by industry standards, remarkable. Many critical parts other companies aren’t able to fabricate and therefore must buy from outside sources are routinely made there. Sheet metal, for example, is bent and punched into chassis that are then hand sprayed with power coat paint; transformer coils are wound; and thick sheets of glass are cut with computer precision into face plates, which are then silk screened with up to 12 coats of ink and for some models subsequently etched. 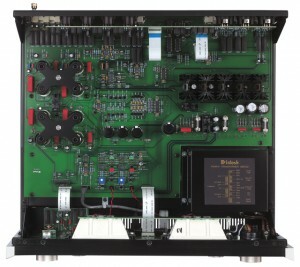 This unusually high level of in-house capability is one reason McIntosh components embody so much quality. It also keeps costs below those of competing high end manufacturers, who must pass the markup charged by specialty subcontractors on to customers. 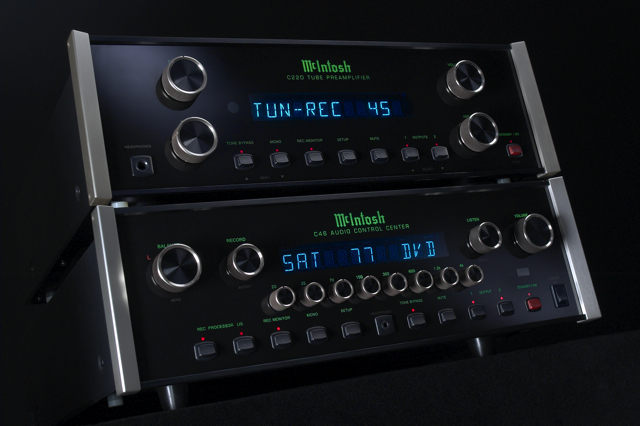 Retained Value: Superior design and construction means McIntosh components have higher resale values than audio products from other makers, something you’ll appreciate if you ever choose to upgrade. Styling Continuity: The traditional blue-tinted meter that first appeared in the mid-1960s is just one design feature that’s unmistakably McIntosh. For some four decades the company has maintained the same front panel dimensions. McIntosh owners can upgrade without making costly cabinet changes, and styling continuity keeps their systems visually harmonious. 18-Karat Customer Service: The McIntosh customer service department is a model facility. Should you ever need it, you’ll realize just how good it is as soon as your conversation with an expert technician begins. You’ll also find phone calls and email messages are invariably answered promptly.